The US flag is flown on many of the docks on the Okoboji lakes. And often times there’s an Iowa or Iowa state flag displayed as well. This design is also available in a tote bag. 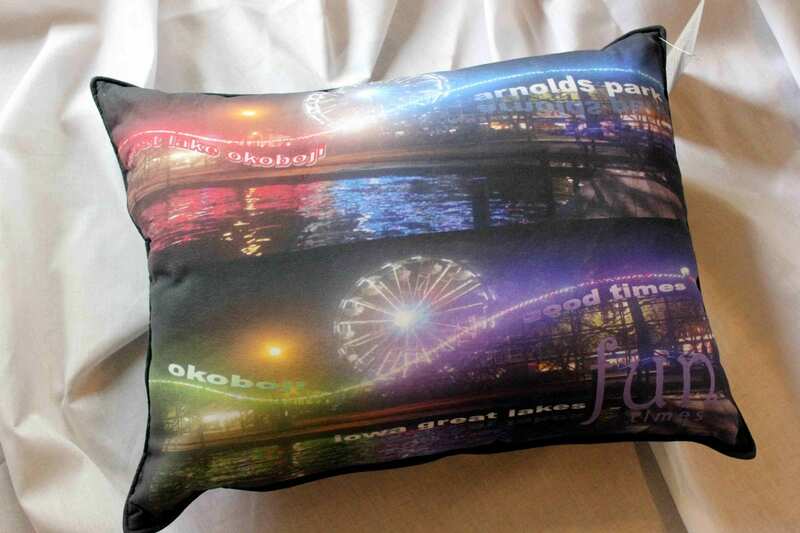 A good gift for those who love Okoboji and love our country. 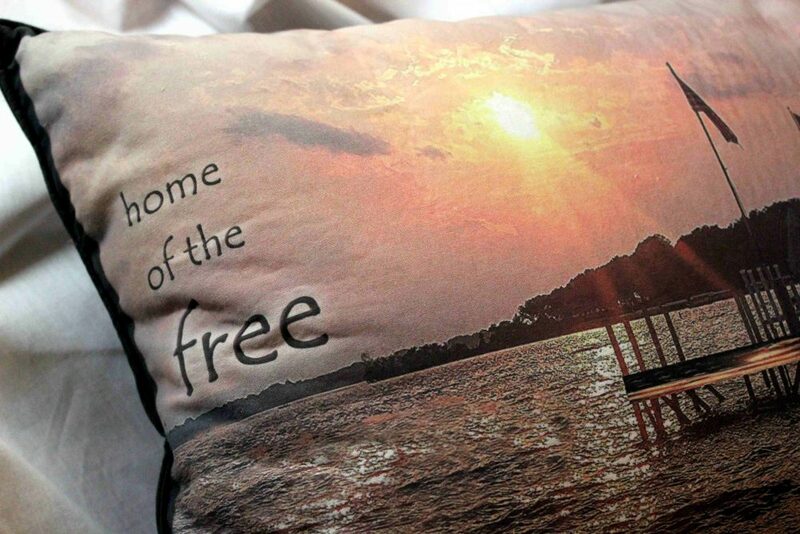 Also for veterans for his man cave or his favorite chair. 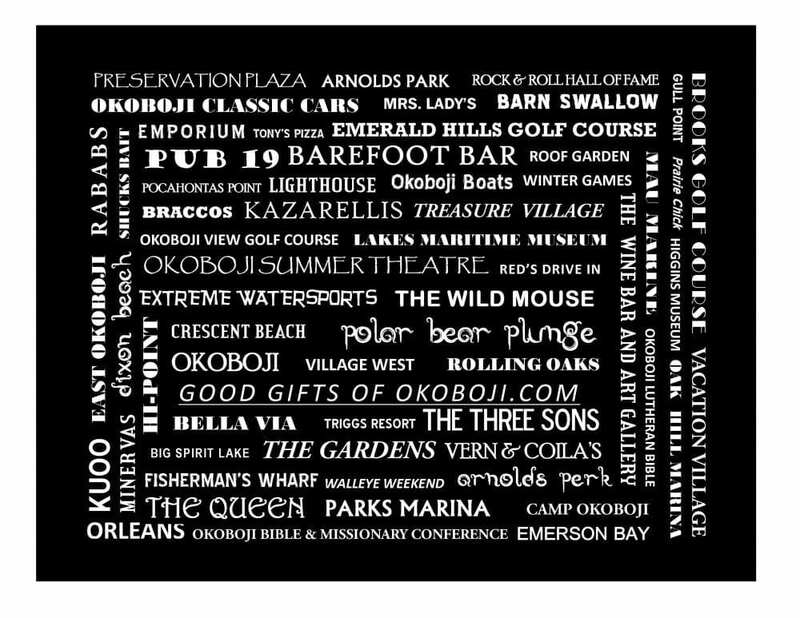 The back features iconic names from the Okoboji area, both past and present. 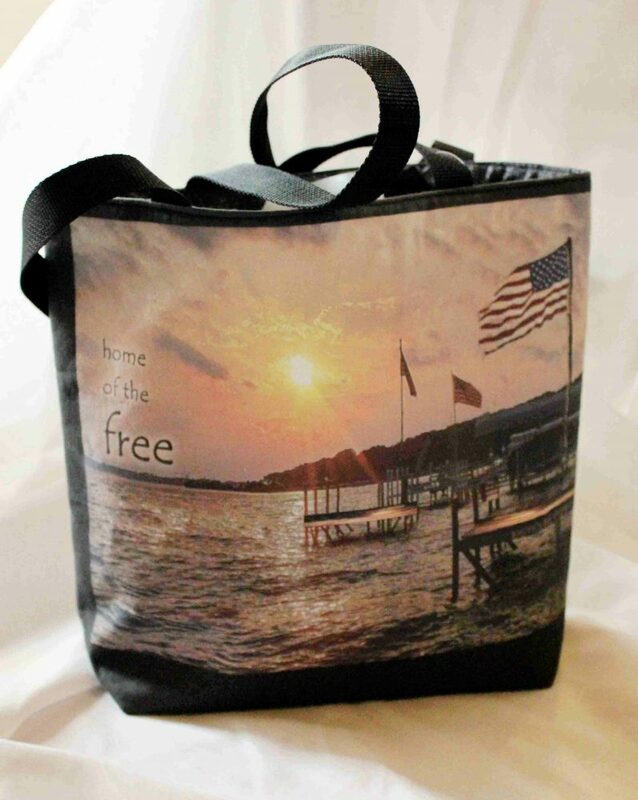 This patriotic design is also available in a designer tote bag. 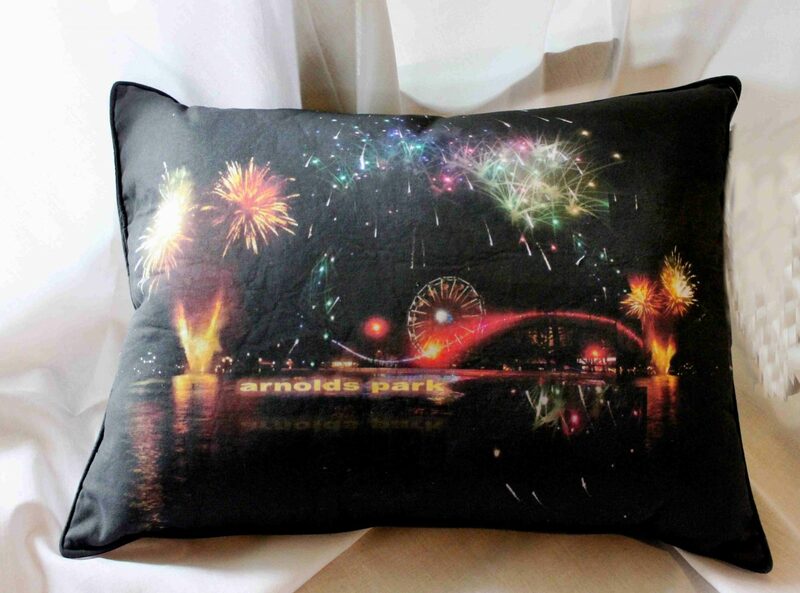 Both of these items are handcrafted here in Iowa from high quality 100% cotton. Limited edition. MILLERS BAY DESIGNER PILLOW – SALE!